Bell's Brewery, Inc. Keg Storage - Byce & Associates, Inc.
Design Program: Program included providing a roof & enclosure for the existing keg yard to control birds and to protect the kegs from exposure to the elements. The selective demolition and removal of limited existing site improvements, building and HVAC infrastructure and process related tanks and equipment to accommodate the proposed infill addition. 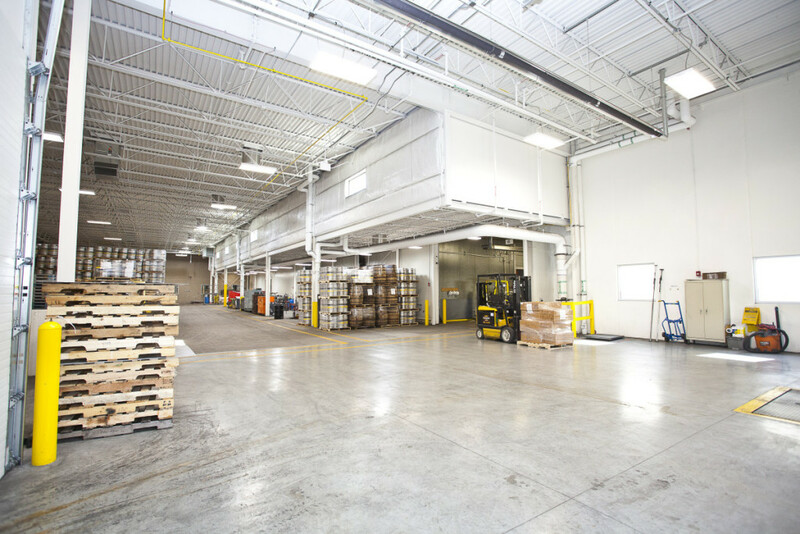 The infill addition is an approximately 160’ by 80’ steel framed structure in the existing keg storage area with clear height minimum of 18’ above finished floor. The infill addition required steel columns at the east wall and a line of internal columns to accommodate a step in the new roof line. The existing canning building wall will be used for roof support at the west side of the keg yard. The building envelope will consist of two level roof system each with a membrane roof with internal roof drains on a rigid insulation on steel structural roof deck. 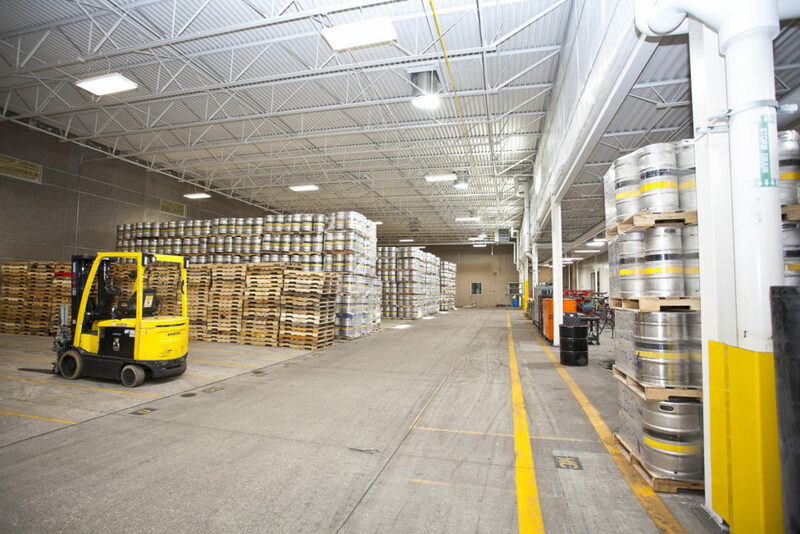 Design Challenges: The Keg Storage Area is an infill building within between existing facility additions of varying heights and structural systems that needed to reconcile process flow, people and product circulation patterns, structural height and bay configurations, and shipping and receiving dock access, to enhance overall process functionality.